College students from around Colorado can submit their entries to be selected for the interview process as the AIGA Colorado Board searches for the 2019 Robert Taylor Scholarship recipient. In 2008, the AIGA Colorado Scholarship was created to help young designers who are enrolled in an accred­ited col­lege design pro­gram. It provides a $1,500 schol­ar­ship and the newest ver­sion of Adobe Creative Suite. 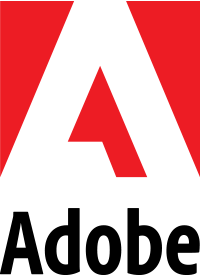 Today, AIGA Colorado offers one $1500 and one $500 schol­ar­ship, plus a one year sub­scrip­tion to Adobe Creative Cloud. The win­ners of the schol­ar­ship should demon­strate lead­er­ship within the design com­mu­nity, as well as out­stand­ing work in the field of design. In 2010, AIGA renamed the schol­ar­ship in honor of the late Robert Taylor. His designs, lead­er­ship and com­mit­ment to the design com­mu­nity fueled inspi­ra­tion and advanc­ed design in Denver. Mr. Taylor was an AIGA Colorado Fellow Award Recipient, served on the Board of Directors for AIGA and ADCD, and served on the Advisory Board for AIGA Colorado. Our past win­ners include: Kalene Thompson (2009), Mia Huang (2010), Stephanie Gibson (2011), Samantha Kogle (2012), Gustavo Esquinca (2013) Shruthi Manjula Balakrishna (2014), Seth Haller (2015), Olivia Orr (2016), Lauren Hostetler (2017) and Maddi Waneka (2018/19). These young design­ers have all demon­strated their inno­va­tion, creativity, passion and lead­er­ship in design as a practice. For other inquiries regarding the Robert Taylor AIGA CO Scholarship, please contact AIGA Colorado’s Scholarship Chair . Learn about the AIGA CO Robert Taylor Professional Grant.